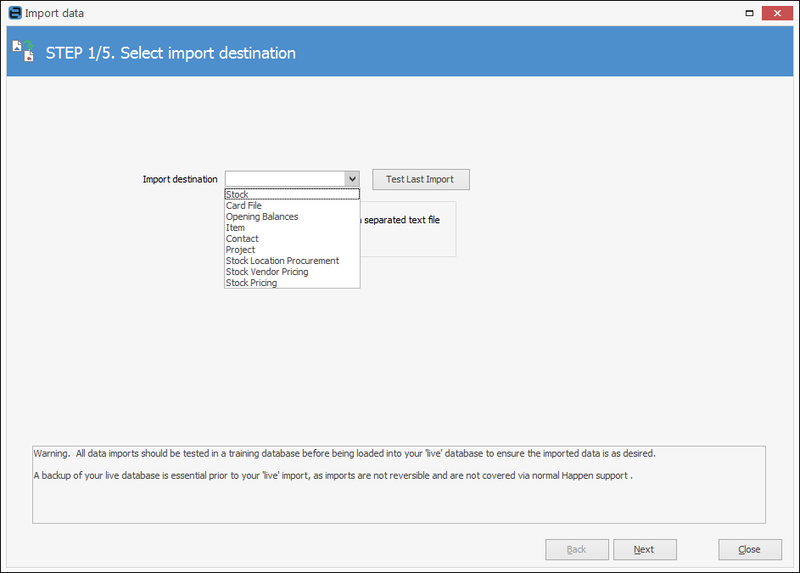 Always test importing data in your Training database first! First of all, it's important that you thoroughly understand the use of the fields in Jim2. This section will outline card file, stock, contacts and opening balance PO fields, how to prepare your data for use in Jim2, and how to import that data. Jim2 fully supports XLSX format.